Leadership training is always partly to do with motivation. 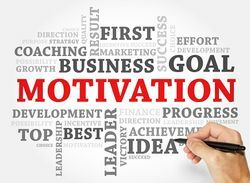 All leaders need to develop the skill of motivation. Motivation is a specific emotion. All emotions are a product of thought, because whatever you think about causes an emotion. Emotions are NOT CAUSED by external facts. It is internal thoughts that is the cause of an emotion. Facts don't cause feelings. If your thoughts are positive, then your emotions will be positive. If your thoughts are negative, then your emotions will be negative. You feel whatever you think about. If you want other people to feel positive, then you need to influence their mind to think about something positive. And as a leader, you need to know how you can make the other person think about things that will make them feel positive. Their goals. What they want for themselves and their family for the future. Their plans on how to achieve their goals. The action that they can do next. How great it will be when they achieve their goal. Learn the above list of question types. Memorise them well and then use this list as a guide to your conversations with others. What do you want to achieve in the next (few months)? What do you need to do to achieve your goal(s)? What can you do today to take you one step closer to your goals? How will you feel when you achieve your goal? Don't ask them about all the bad things could happen in the future. Don't ask them about the bad things that have already happened in the past. Don't ask them about any negative gossip or office politics. Too many conversations are about these three things. The first induces fear or worry. The second induces anger or upset. The third induces nosiness and negativity. Plans on how to achieve the goals. Actions that can be taken today. How it will feel when we win. Quiz: Are You a Positive Influence on Others? Try our Positive Influence Quiz to discover if you have a positive influence on others. Nothing succeeds like success! Here is a powerful eight point plan for developing a Positive Mental Attitude. If you apply these points, you will rapidly achieve excellent results.